agey e bole chilam ... fatafati , congrats on the getting awarded! MANY MANY MANY MANY congrats re... ami SERIOUSLY blv kori je ami, tui ar Babloo ONEK awd pete paari ekhane, kintu just contact-er jonno pai na.. tai ami nije thekei age donor hoye nominate kora shuru korechhi.. ebar dekh ki hoy.. It is a great composition no doubt!If you don't mind plcement of a human or something at lighted portion may give another dramatic effect.I admire your work Nil!Monochrome is also a better choice! fata fati guru fata fati . ko din uf e ashini tar modhey to tui eke bare kapiye diye chish .. eta bibhotsho hoyeche . keep it up. Good graphics in this one! Thanks Dave.. thanks for visiting and lovely comment.. Thanks dada.. its great to get a comment from you.. Very nice capture of a repetitive object. 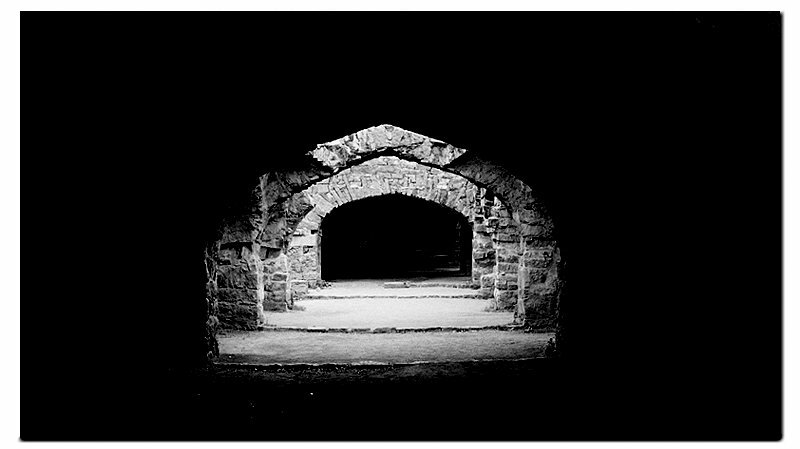 Beautiful my friend ,i have similar shots of golconda in my portfolio ,love,dada. A striking image! Great perspective and lighting! that's really perfect! great perspective and so attractive...very nice architectural shot, congrats! Very good perspective her Nil, good work. Great perspective and use of light Nilanjan! I can feel the cool darkness. Great image and lovely presentation using the darkness for natural framing! Thanks Avi.. :) lots more to come.. Without ANY doubt, one of your top three I have seen till date. Nice work.Great scene and beautiful capture.Superb colours and lights.Well taken. Wow! a real good one man. You are getting better by the day. 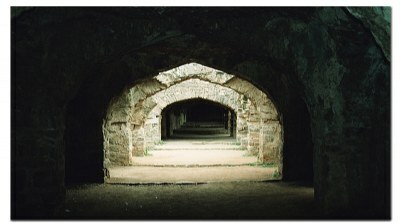 I have also been to this place in Golconda - guess this was while coming down from the top, towards the left. Beautiful capture, love the hollow & place where its taken, lights & shadows all so perfect..nice one Nil,Congrats!! Outer darkness & inner depth of lights can give a much darker tunnnel look.It gives me a feel of Poetry with pictures. Goes to my favourites. THis is one of your best shots in usefilm. nil..!!! Ja ta photo..!!! WOW..!! This is GREAT..!!! I am on a high..!!! True sense..!! This is pushing me to the etarnity..!! Same place i went few years ago... and that time i did not have camera..!!! I am so happy that you got the same feeling and composition at that place..!! surely you are having more photos .. of Golconda..!! Share those too..!! PS. Bnw ta try korlaam. Dekho to..!! Very good idea. Nice perspective. Please try to include any animate thing to give it a much stronger composition and to have a sense of size of the architecture. NB: Thanks for your inspiring comments. Marvelous perspective of this down part of the monument. Superb light. Nice perspective, my friend! very well done! !